The home of local South African television programming - Mzansi Magic - is calling for project submissions on low budget feature film projects from KwaZulu-Natal to be developed into 60 - 90 minute films and to be aired on the channel. Submission deadline is 15 July 2011. With Mzansi Magic’s focus still firmly set on boosting the local film industry, the channel has collaborated with the Durban Film Office (DFO) on this project and the DFO will facilitate the call for submissions. The DFO is the film industry development arm of the City of Durban, operating under the auspices of Economic Development Unit of eThekwini Municipality. “The DFO has prioritised the development of emerging filmmakers with programmes such as the Producers Lab, which is an incubation programme for film sector SMMES in partnership with the SmartXchange Technology and Innovation Hub. Facilitating this call out for Mzansi Magic is a continuation of our efforts to develop young filmmakers in Durban”, states Toni Monty, Acting C.E.O of the DFO. Mzansi Magic will consider commissioning ten projects for development based on the caliber of projects submitted. Mzansi Magic’s Channel Manager Lebone Maema and Nirvana Singh, Commissioning Editor say “Selected projects will have the opportunity to hone their scriptwriting skills by participating in script development workshops facilitated by Yizo, Yizo 1 and 2 co-creator/writer and Jerusalema associate producer, Mtutuzeli Matshoba and stand a chance to be made into a Mzansi Magic feature movie”. 3. Complete screenplays will be a definite advantage. Please note that submissions must be in Mzansi Magic offices by 16h00, 15 July 2011.
via telephone on: 011-686 6000. 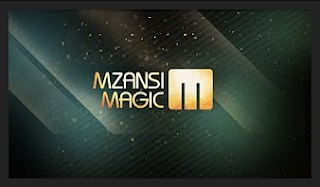 Mzansi Magic – DSTV channel 107- is a proudly South African, locally focused, general entertainment channel. It is available to MultiChoice subscribers on DStv Premium, DStv Compact and DStv Select bouquets.